The Minister of the Interior, Christophe Castaner, ordered the police to resort to a degree of violence not seen since the time of the Algerian war (1954-62). During the two last decades in France, other riots have taken place many times. In 2005, for instance, when the whole country was subjected to arson and riots for weeks, the number of wounded rioters remained low. But violence has consequences. In just the last few weeks, 1,700 protesters were wounded, some seriously. Nineteen lost an eye; four lost a hand. 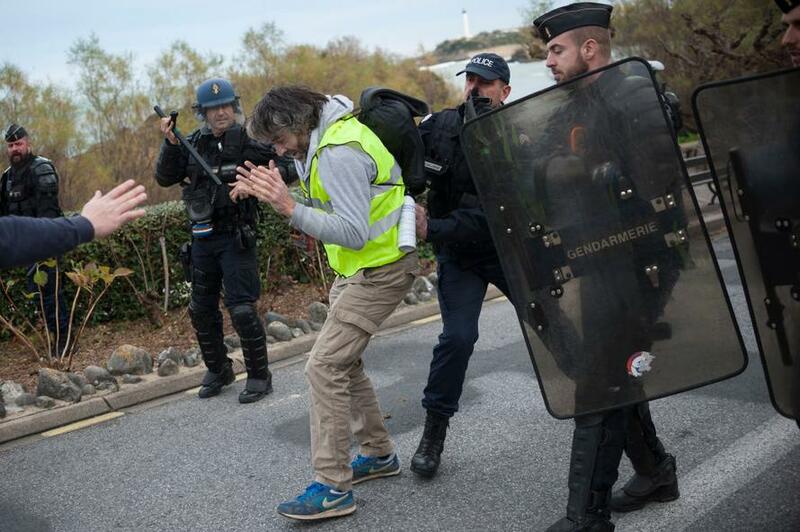 Although French police officers do not use lethal weapons, they do use rubber ball launchers and often fire at protesters' faces -- a target prohibited by the current rules of engagement. The French are also the onlypolice force in Europe to use Sting-Ball grenades. Guilluy, a geographer, published two books: La France périphérique ("Peripheral France") in 2014, and, just weeks before the outbreak of the uprising, No society. La fin de la classe moyenne occidentale ("No Society. The End of the Western Middle Class"). In them, he explains that French population today is divided into three groups. The first group is a ruling upper class, totally integrated into globalization, made up of technocrats, politicians, senior civil servants, executives working for multinational companies, and journalists working for the mainstream media. The members of this class live in Paris and the main cities of France.